Recent arbitration documents reveal that a former professor at Memorial University sexually harassed one of his female graduate students over the course of several months in 2011 and 2012. 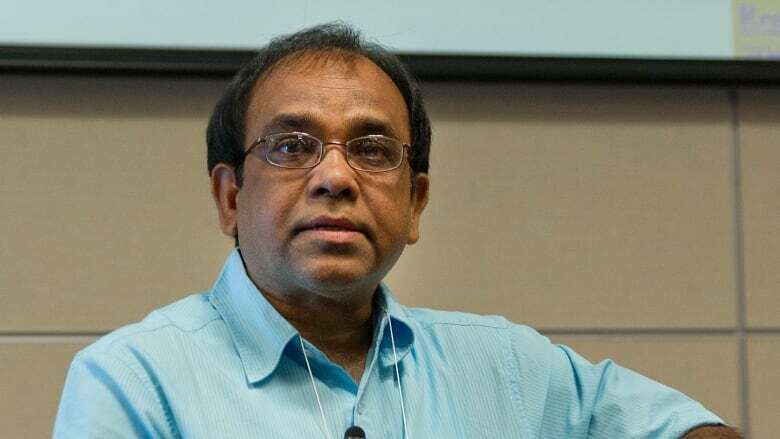 A university investigation determined that now-retired math and statistics professor Brajendra Sutradhar touched a student inappropriately multiple times while they were alone in his office, including one instance when he put his hand under her dress. Sutradhar was the student's graduate supervisor. The student was not publicly identified and is referred to in documents only as "C."
C filed a sexual harassment complaint in May 2012, alleging that Sutradhar touched her face, hands, legs and back on multiple separate occasions, beginning in October 2011. She said that one time he put his hand under her dress, climbed up her leg, and tried to touch her underwear. C also alleged Sutradhar invited her to his house for dinner while his wife was away. Sutradhar denied all of C's allegations. After reviewing the investigator's report, MUN president Gary Kachanoski determined Sutradhar's conduct constituted sexual harassment and sentenced him to a 20-day unpaid suspension. "Your conduct was unwelcome, unwanted and created an intimidating, hostile, and offensive academic environment for Ms. [C]," wrote Kachanoski in his letter to Sutradhar in September 2012. "As a professor, you hold a position of trust and confidence in relation to your students." Sutradhar filed a grievance against the decision through the MUN Faculty Association, saying that C was not a credible witness and that the investigation process was flawed. A board of arbitrators denied his grievance last June. Sutradhar had been a professor at the university since 1984. In 2011-2012 he had a total of seven graduate students. According to the university, Sutradhar retired in late October 2015. He had continued to teach following the investigation's conclusion and continued to supervise at least one graduate student. 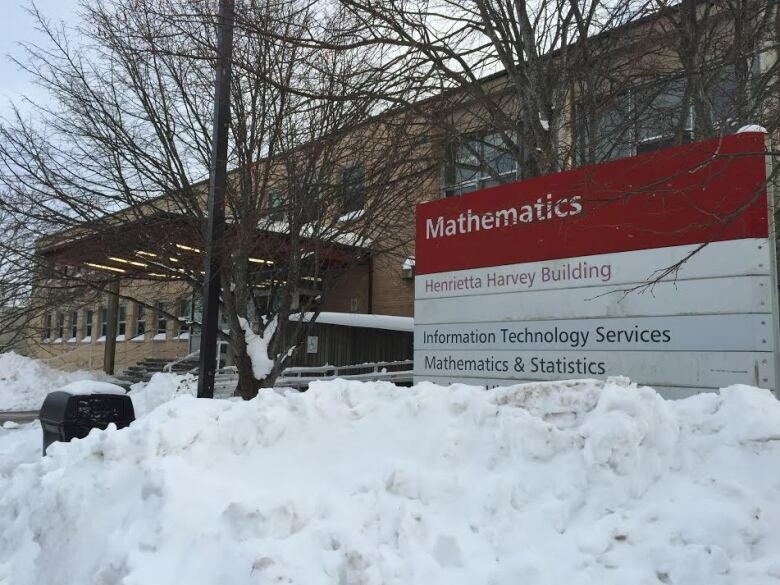 C had moved to St. John's from China to complete a Masters in applied statistics. As part of her program she had to meet regularly with Sutradhar in his office, which he set up so that both chairs were next to each other on the same side of the desk. Math department head Chris Radford testified that he told Sutradhar students should be seated on the opposite side of the desk, but that Sutradhar did not make any changes to his office layout. C said the harassment started in the fall of 2011 when Sutradhar began touching her cheek and chin when she was sitting next to him during one of their meetings. This happened at least 10 more times in the following months, she said. C also said that he started touching her hand that semester, placing his hand over her hand for a few seconds at a time. C didn't say anything to Sutradhar about his behaviour at the time, later testifying that she had been worried he would fail her or delay her graduation. "I suffered this situation for a period of time. It made me feel bad but I dared not to do anything because I care about my graduate study so much," wrote C in a later letter sent to the sexual harassment advisor. C testified that she did not have any friends or family in Newfoundland, and that she found the language barrier difficult. She was struggling in her program, barely passing her first two courses. C said Sutradhar continued to touch her face and hand when she was in his office that winter. She also said he started to touch her back and her leg, under and on top of her dress. She described one event where he put his hand under her dress, climbed up her leg, put a finger up to her waist, and tried to pull down her leggings and underwear together. C went to the university's sexual harassment office in late March. Although the advisor urged her to put a complaint in writing, C did not pursue the matter, later telling the sexual harassment advisor that everything was fine. During the investigation C testified that the harassment was still happening, but was she was trying to manage the situation on her own. In mid-May, however, C was prompted to meet again with the sexual harassment advisor. She said Sutradhar had told her his wife was away and invited her to his house for dinner. "She had felt that if something happened when she was in [Sutradhar's] office that she could scream and get help. However, she did not think she would be able to manage the situation if she went to [his] house by herself," the report stated. Later that day, C emailed Sutradhar saying she could not make their meeting the next day. In his response, Sutradhar said "it may not be right to go for lunch/dinner now" and that they would go in a group. A few days later, C filed a sexual harassment complaint. She said she no longer wanted to meet with Sutradhar and wanted to switch supervisors as soon as possible. "I ask help from you since really realize the seriousness [...] I want to stop such behaviour and protect myself and other students," C wrote to the sexual harassment advisor. MUN launched an investigation into the complaint and the investigator finished her report in late August 2012. The investigator said she was delayed because Sutradhar refused to do a face-to-face interview, instead wanting to respond through written questions. As per university protocol, MUN president Gary Kachanoski reviewed the investigator's report and ultimately determined Sutradhar guilty of sexual harassment. Sutradhar filed a grievance against the decision, saying it was unjustified and that the investigation process was flawed. After arbitration hearings in September 2014 and February 2015, however, a decision was finalized in June, denying his appeal. "C was vulnerable as a foreign student and as a graduate student having regard to [Sutradhar's] position of authority as graduate supervisor and professor," the arbitrators stated in their conclusion. "There was a significant power imbalance between [Sutradhar] and C. The nature of the inappropriate conduct was also escalating in seriousness." In a statement for CBC, Memorial University said the following: "Sexual harassment is a violation of human rights and is not tolerated at Memorial University. The university is committed to ensuring a respectful and harassment free environment on all its campuses. "Anyone at the university with a concern about sexual harassment should meet or contact the university's Sexual Harassment Advisor. All consultations will be handled with confidentiality. The process of filing a formal complaint is outlined in the University-Wide Procedures for Sexual Harassment Concerns and Complaints. Sanction or discipline can be imposed under the appropriate collective agreements, handbooks or other appropriate discipline codes."